Please take the time to read these terms and conditions. By using our Website and information offered on our Website, you are agreeing to these terms and conditions. 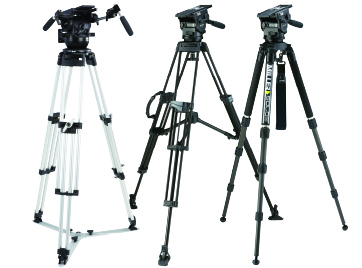 We / Us / Our means Miller Camera Support Equipment and any subsidiaries, affiliates or employees. 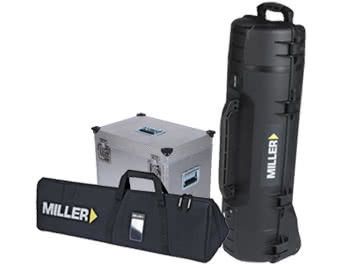 Miller means Miller Camera Support Equipment and any subsidiaries, affiliates or employees. R.E. 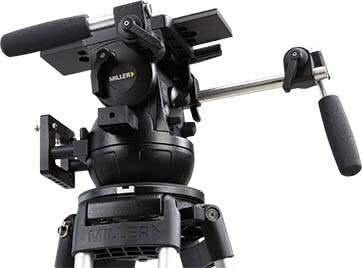 MILLER PTY LTD trades under name Miller Camera Support Equipment. The Website is made available for your use on your acceptance and compliance with these terms and conditions. By using this Website, you are agreeing to these terms and conditions. You agree that you will use this Website in accordance with all applicable local, state, national and international laws, rules and regulations. You agree that you will not use, nor will you allow or authorise any third party to use, the Website for any purpose that is unlawful, defamatory, harassing, abusive, fraudulent or obscene way or in any other inappropriate way or in a way which conflicts with the Website or the services. If you contribute to our forum (if any) or make any public comments on this Website which are, in our opinion, unlawful, defamatory, harassing, abusive, fraudulent or obscene or in any other way inappropriate or which conflict with the Website or the services offered, then we may at our discretion, refuse to publish such comments and/or remove them from the Website. If you register your details on any component of the Miller Website, for the purposes of gaining access to the specific restricted services on the site available to registered users of the site, and you choose or are provided with a user identification and/or a password, you are responsible for maintaining the confidentiality of your registered user identification and password information. You must treat such information as confidential, and you must not disclose it to any third party. You agree to accept responsibility for all activities that occur under your user identification and password. You agree to indemnify us and hold us harmless from and against any and all liabilities or expenses arising from or in any way related to your use of this Website or information offered on this Website, including any liability or expense arising from all claims, losses, damages (actual and consequential), suits, judgments, litigation costs and solicitors fees of every kind and nature incurred by you or any third parties through you. We hold the copyright to the content of this Website, including all uploaded files, layout design, data, graphics, articles, file content, codes, news, tutorials, videos, reviews, forum posts and databases contained on the Website or in connection with the Services. You must not use or replicate our copyright material other than as permitted by law. Specifically, you must not use or replicate our copyright material for commercial purposes unless expressly agreed to by Miller. The trademarks and logos contained on this Website are trademarks of R.E. 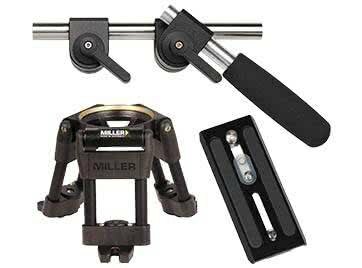 MILLER PTY LTD. Miller Camera Support Equipment is a registered trademark of R.E. 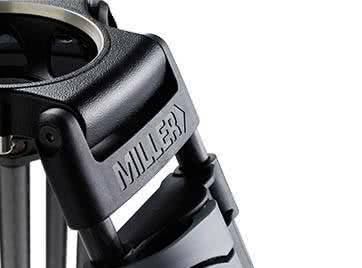 MILLER PTY LTD. Use of these trademarks is strictly prohibited except with Miller’s express, written consent. We take no responsibility for the accuracy of any of the content or statements contained on this Website. Statements made are by way of general comment only and you should satisfy yourself as to their accuracy. We are not liable for any damages whatsoever, incurred as a result of or relating to the use of the Website. The Site contains provisions for users to register their details as registered users of the Site, which shall automatically entitle the registered user to receive mailings and newsletters, by email or otherwise, from Miller from time to time. 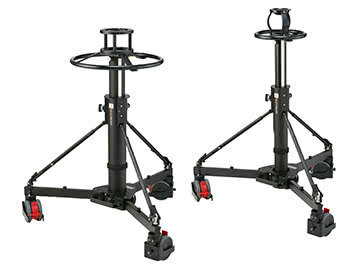 The mailings and newsletters of Miller may contain promotions and offers available exclusively to registered users who receive the mailings and newsletters, and registered users shall automatically receive the benefit of such promotions and offers. A registered user shall be entitled to opt-out of receiving the mailings or newsletters, and provisions in this regard shall be available on the Site. Where a registered user opts out of receiving mailings and newsletters, then that registered user shall not be entitled to receive the benefit of any promotions or offers contained in the mailings or newsletters. These terms and conditions are governed by and construed in accordance with the laws of New South Wales, Australia. Any disputes concerning this Website are to be resolved by the courts having jurisdiction in New South Wales.